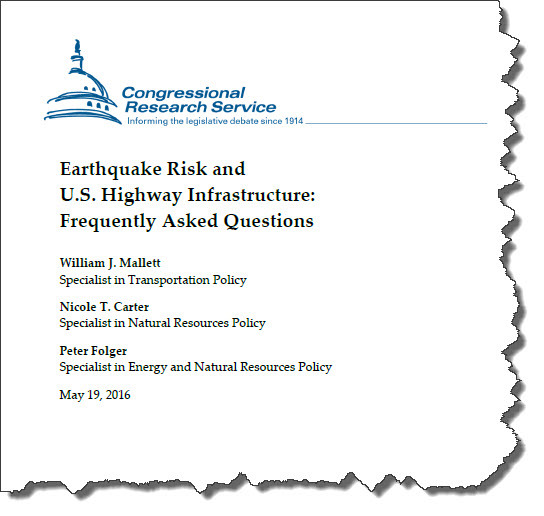 Thanks to our friends at the Federation of American Scientists (FAS) a recent Congressional Research Service report entitled Earthquake Risk and U.S. Highway Infrastructure: Frequently Asked Questions was posted. This 11-page report is an excellent overview of the current state of natural and man-made (read - "Fracking") earthquake impact on the US highway system. Q: What Are the Components of Seismic Risk? Q: How Vulnerable Is the U.S. Highway System? A: "No national database exists on the seismic design and retrofit status of highway system components; thus, a perspective on vulnerability at the national level is unavailable. 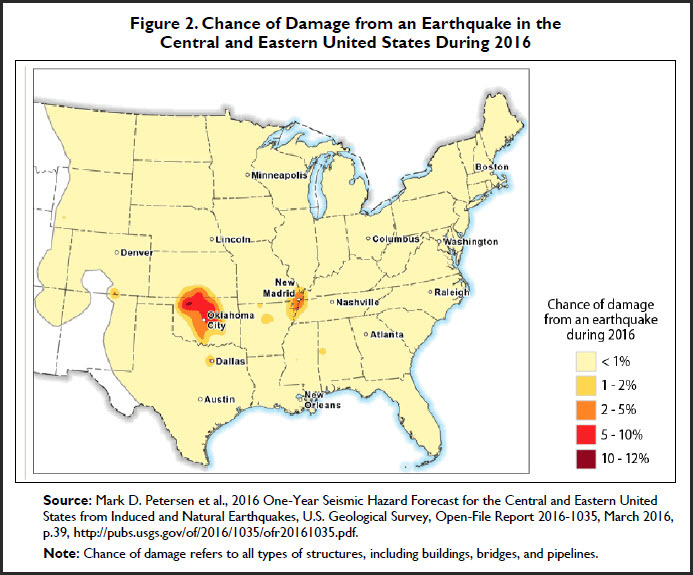 However, many states with large seismic hazards have compiled data on the vulnerability of highway components within their borders..."
Q: How Vulnerable are Highway Bridges? A: Basically many of the most vulnerable older bridges -- particularly in the West Coast States -- have been retrofitted to improve seismic resilience; however, many older bridges (around 13,000) in the New Madrid seismic zone (AR, IL, IN, KY, MO, MS, TN) have not been retrofitted. 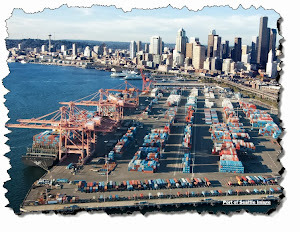 Q: How Costly is Retrofitting Highway Infrastructure? A: Because no national data exist on the status of retrofitting existing highway bridges or other infrastructure (e.g.,tunnels, highway systems), no national estimates exist. 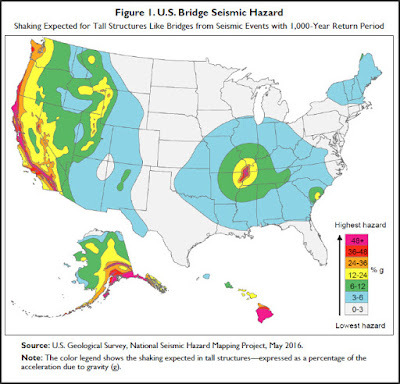 If you are involved in transportation policy or a student of infrastructure, this is a useful starting point to give you a sense of the daunting task of improving the resilience of highway structures against earthquakes.